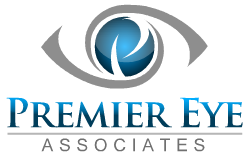 Thank you to Premier Eye Associates of Collingswood, NJ for choosing Small Steps in Speech as its Charity/Cause of the Quarter. As part of their One Vision Program, each quarter Premier Eye Associates chooses a charity or cause to donate 5% of eyeglass purchases to. They are committed to positively impacting their community and the world. By donating a portion of their eyeglass sales to Small Steps in Speech, they will most certainly be impacting the lives of the children who need our support. Please stop by Premier Eye Associates at 571 Haddon Avenue, Collingswood, NJ or visit them at www.PremierEyeDoctors.com for your vision needs.